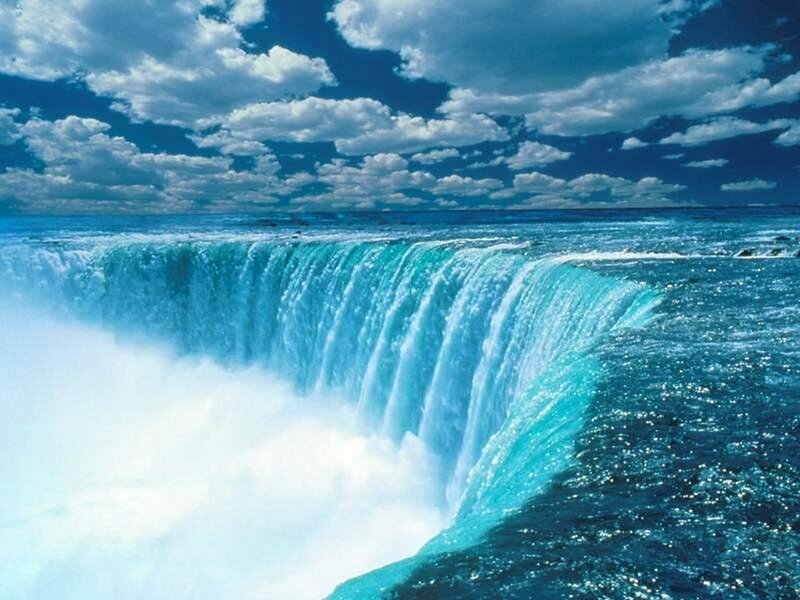 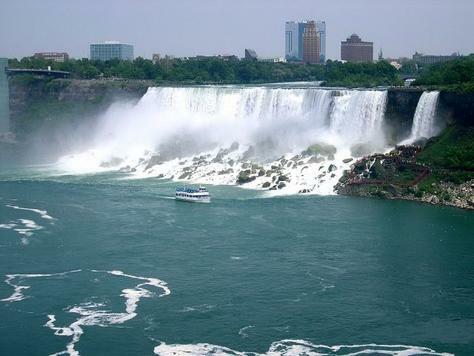 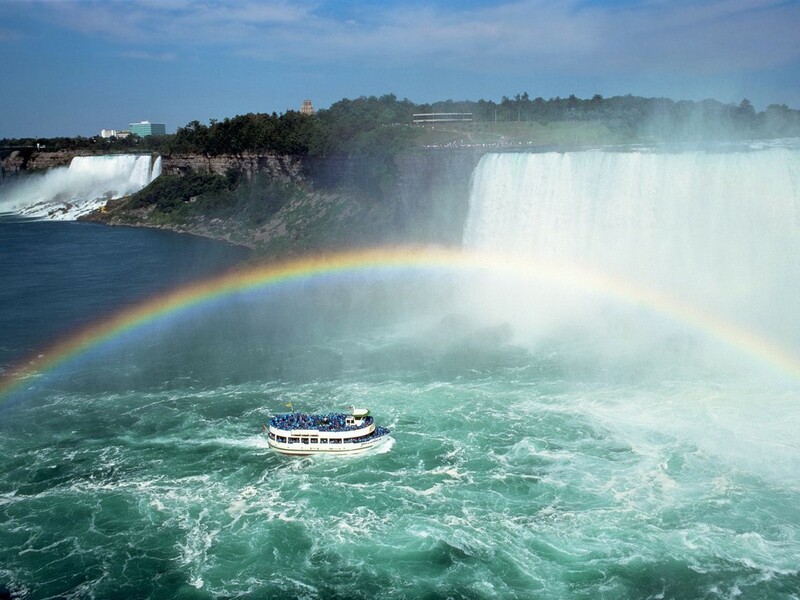 The Niagara Falls are the most powerful waterfalls in North America. 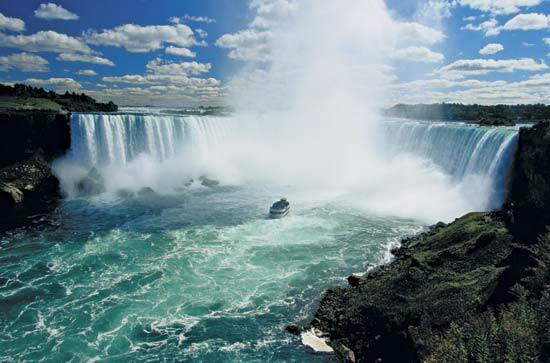 These voluminous waterfalls are situated on the Niagara Falls River, which drains Lake Erie into Lake Ontario and forms the international border between the Canadian province of Ontario and the U.S. state of New York. 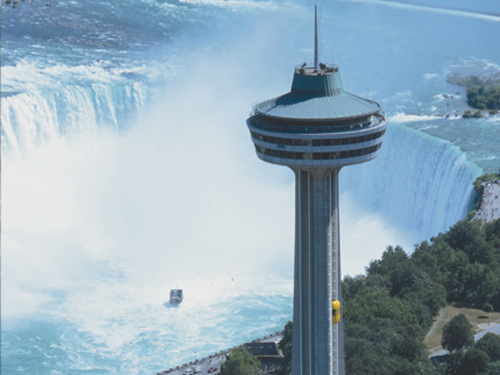 The Niagara Falls are 17 miles (27 km) north-northwest of Buffalo, New York and 75 miles (121 km) south-southeast of Toronto, Ontario, between the twin cities of Niagara Falls, Ontario, and Niagara Falls, New York.